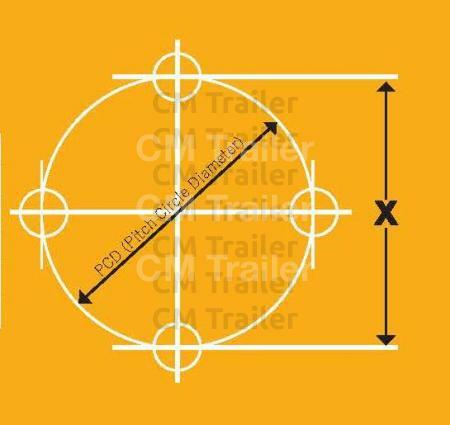 To measure PCD on a 5 stud wheel, measure from the centre of one stud to the centre of the next stud, then calculate PCD using the chart below. PLEASE NOTE: These wheel fitment specifications are intended to a guide only. 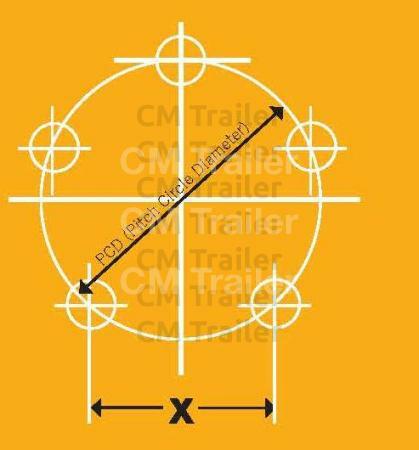 To the best of our knowledge, specifications are correct, however CM Trailer Parts take no responsibility for errors.